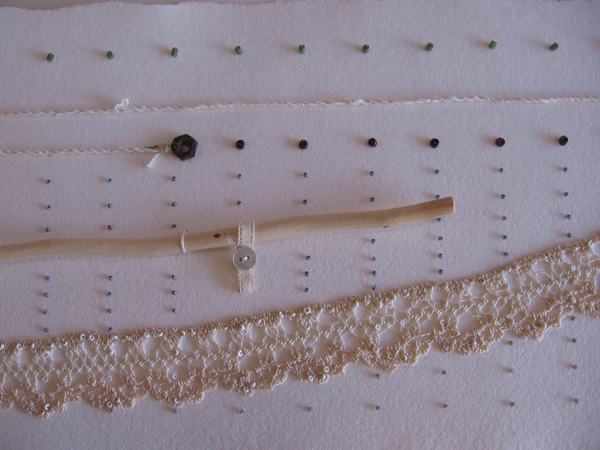 I am a compulsive maker and thread is my favorite medium. I studied weaving in the 1970’s, then took a long side trip into jewelry making and beadwork. In 2009, I was determined to weave again, borrowed a folding Dorset loom from a friend, and rented time on a loom at my local yarn shop. I visited Joanne Hall in her Montana studio in 2010, and ordered a Glimakra Julia loom with eight shafts and eight treadles. The next year, I spent a week at the Weaver’s School, learning from Madelyn van der Hoogt. Paul and I camped on Whidbey Island. He dropped me off every morning, and spent each day reading and shooting photographs, while I was in weaver’s bliss. Now I have a Glimakra Standard with drawloom attachment, a second Julia, with four shafts, and a Swedish band loom. The traditional Swedish looms require only human power to operate, are sustainably manufactured, ergonomically comfortable, and made to last for generations. 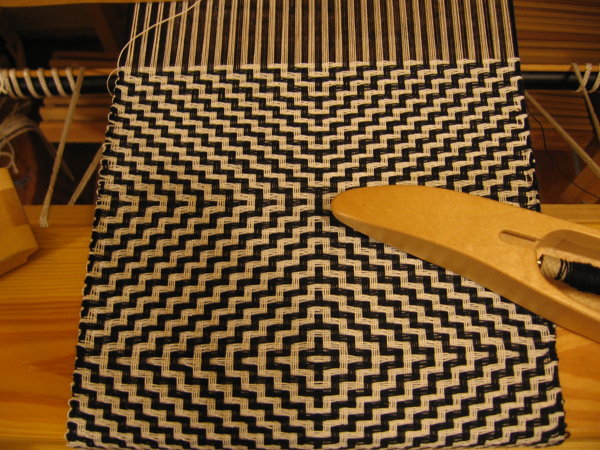 I joined the Whatcom Weavers guild, and weave as much as I can with a full-time job. 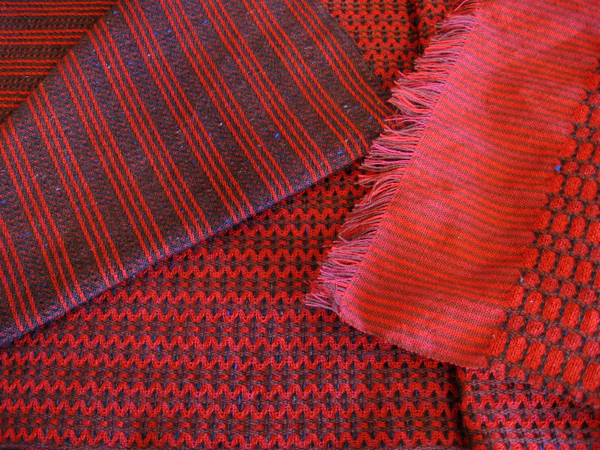 The weaving portfolio shows my completed towels, scarves and yardage, and work in progress. 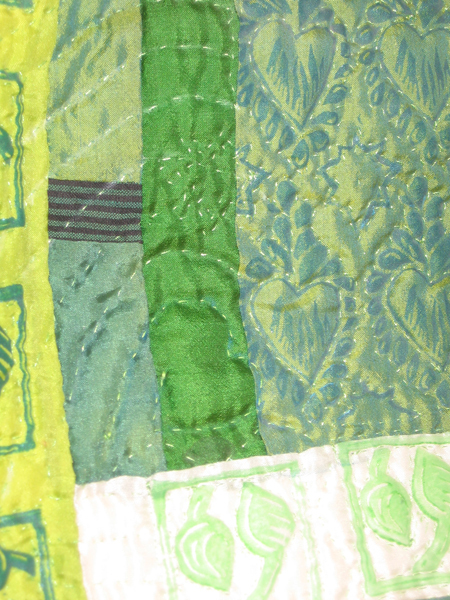 I have a lot to learn, and love to share the joy of color and texture, making and learning through these photos and the patterns and ideas in my books. The cloth of everyday life should be beautiful and useful. When I taught jewelry making and beadwork, my objective was not just that the participants would leave with a finished project, but that they would know how to use the tools and materials and have the confidence to solve design and construction problems beyond the workshop. I feel powerfully that the arts are essential to the ability to survive and thrive in a rapidly changing world. 18 towels on Four Warps is 24 full-color pages of photos, drafts and project guides for turned twill designs on eight shafts. It is available by single copy for $20, or in wholesale quantities. Contact me for a PDF preview. Featured guest artist in “The Complete Photo Guide to Beading”, by Robin Atkins. 2003 – Walk 21, International Pedestrian Conference, Portland, OR.